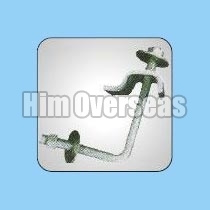 We are internationally acclaimed for offering Pressed Joint Clamp and Timber Walling Clamp. These Pressed Timber Walling Clamps offered by us are precisely designed for correct positioning of scaffold tubes. We manufacture, supply and export Pressed Timber Walling Clamps that are known for their durability and sturdy structure.